The classic BLT combination gets re-invented in a layered salad. 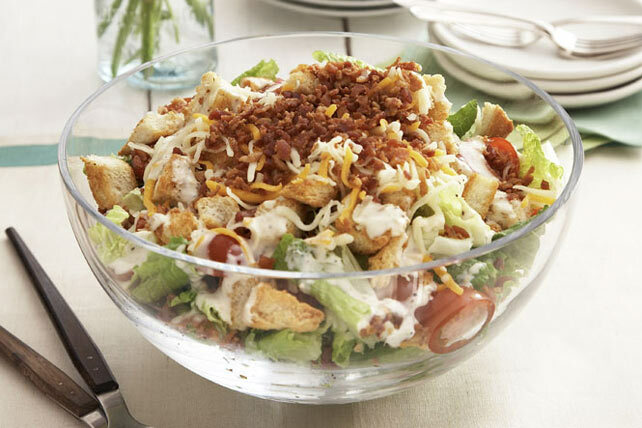 Layer lettuce, tomatoes, croutons, cheese and bacon in large bowl. Drizzle with dressing just before serving; toss lightly. For a dramatic presentation, serve this salad in a clear glass bowl.